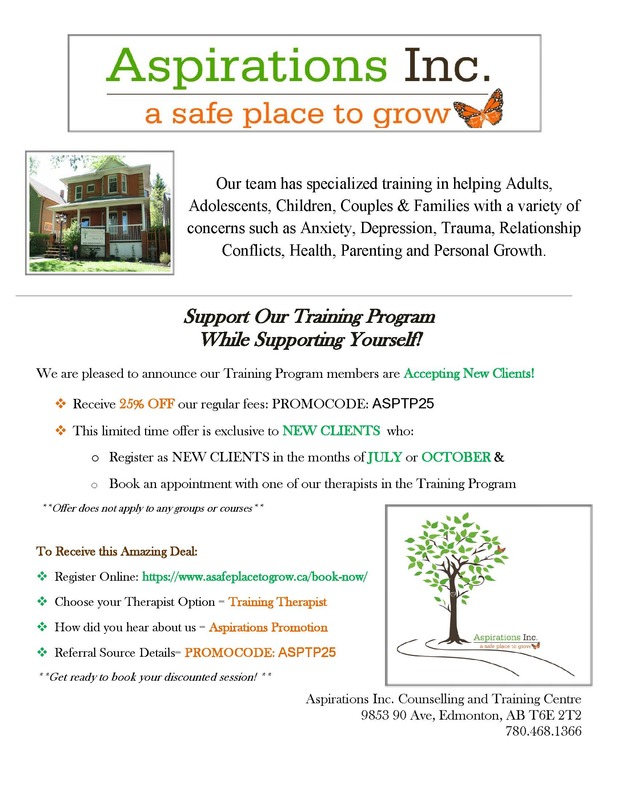 For the month of October, Aspirations Inc has a promotion to offer to our new clients: for the month of October you can receive 25% off regular fees with the promo code above if you see one of our exceptional training therapists. All of our training therapists are supervised by Lynne and have specialized training in concerns such as anxiety, depression, trauma and much more with a variety of different people! If you’re looking to better your general well being on a budget, now is the time to BOOK A SESSION and one of our admins will contact you shortly to get you booked in ASAP and assist you towards a healthier path.